Looking to adopt a long-haired dog? We can see why. They’re soft, cuddly and super pettable, but every pet is unique, so how do you find the right one for you? Almost every dog sheds to some extent, and that includes long-haired varieties. The amount a dog sheds varies widely across breeds, however, and certain long-haired dog breeds actually shed very little, like the Yorkshire Terrier and Portuguese Water Dog. 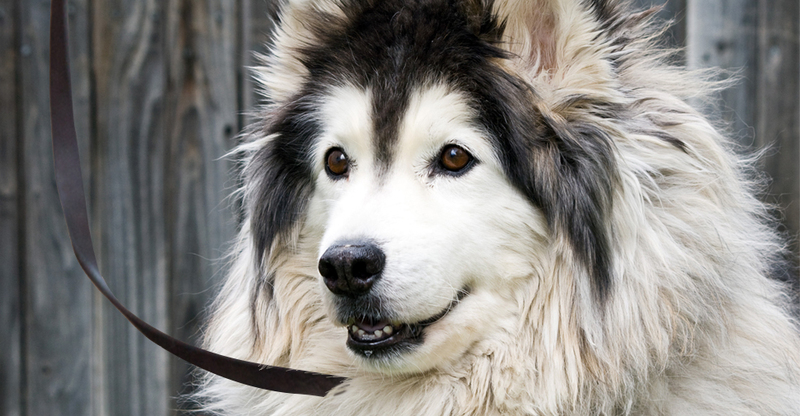 Others, like the Alaskan Malamute and Great Pyrenees, shed quite a bit thanks to their thick double coats. Regardless, all long-haired dogs need regular grooming and brushing to remove dead or damaged hair and keep their skin healthy. 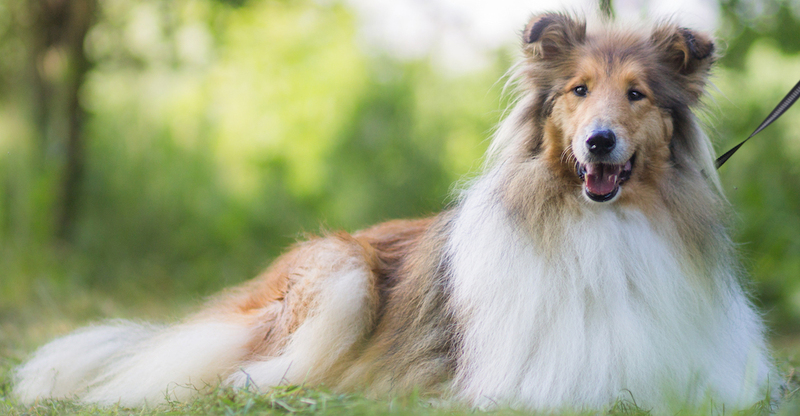 Which are the best long-haired dog breeds? Little dog, lots of personality. Chihuahuas have lively energy and tons of character. Some need firm training, but they are fiercely loyal. Grooming Needs: Long-coated Chihuahuas require brushing 1-2 times a week, along with trimming every few months. These little dogs come in both short and long-haired varieties, with the longer-haired pups being slightly quieter and more subdued. Some need firm training, but they are fiercely loyal. Grooming Needs: Long-haired Dachshunds should be brushed once a week, and their long, droopy ears should be cleaned with a cotton ball monthly. They also need occasional trims. Bold and brimming with confidence, Pomeranians are outgoing and friendly. They lean to the vocal side, making them great watchdogs. Grooming Needs: Pomeranians have a thick, double coat that should be brushed around twice a week, and they need trimming about every 2-3 months. Shih-Tzus are born companion dogs, with affectionate personalities and an upbeat demeanor. Grooming Needs: Like other similar dogs with long hair, the Shih Tzu’s long, flowing coat requires daily brushing, and needs trimming about once a month. Peppy, outgoing and inquisitive, the Yorkshire Terrier makes a great little buddy. Proper training can help teach him not to bark, and he does well in small spaces. Grooming Needs: The Yorkie’s coat is notoriously silky, and it requires brushing almost daily, along with a trim every 4-6 weeks. Eager-to-please, active and playful, Cocker Spaniels are great family pets. They’re good with children as well as other animals. Grooming Needs: That curly, wavy coat should be brushed every few days, and Cocker Spaniels need a trim and bath about every 6-8 weeks. Collies are intelligent, gentle and active, with a protective side that makes them particularly good with children. Grooming Needs: A Collie should be brushed about 3 times a week, and should have a bath every 1-3 months, depending on his activity level and how much dirt he gets into. Swift, athletic and surprisingly silly, this friendly breed is a great family pet. 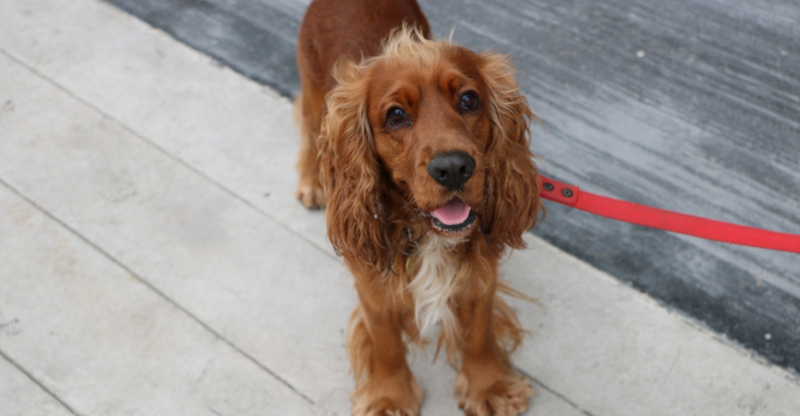 Grooming Needs: The Irish Setter’s gorgeous red coat should be brushed 3-4 times a week, and bathed/trimmed about every two months. His droopy ears also need regular cleaning with a cotton ball. These superior swimmers live up to their name, and have an affectionate and obedient personality. Grooming Needs: With his curly coat, the Portuguese Water Dog needs brushing and combing weekly, and a trim and bath about every 6-8 weeks. 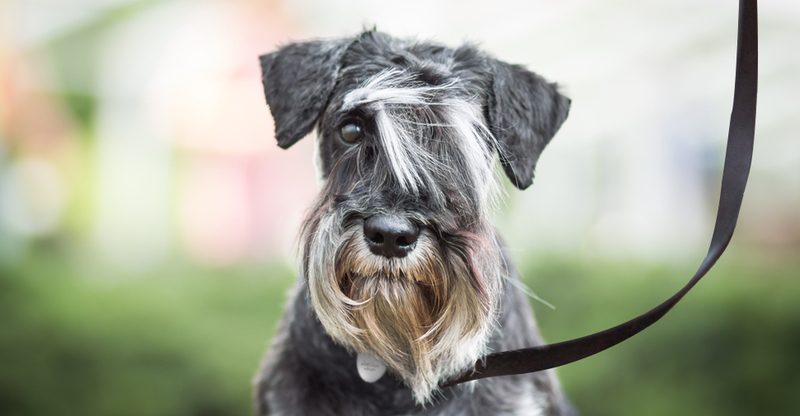 This Schnauzer is athletic and active, with a bright demeanor. Some may tend to the vocal side. Grooming Needs: The Schnauzer should be brushed and combed every few days, and trimmed and bathed about every 2 months. Highly active and intelligent, the Malamute is strong-willed and affectionate and loves to go on adventures outdoors. Grooming Needs: Plan on brushing the Alaskan Malamute 1-2 times a week, with a bath around every 2 months, or as-needed. These big dogs are caring, with a calm demeanor and even temperament. 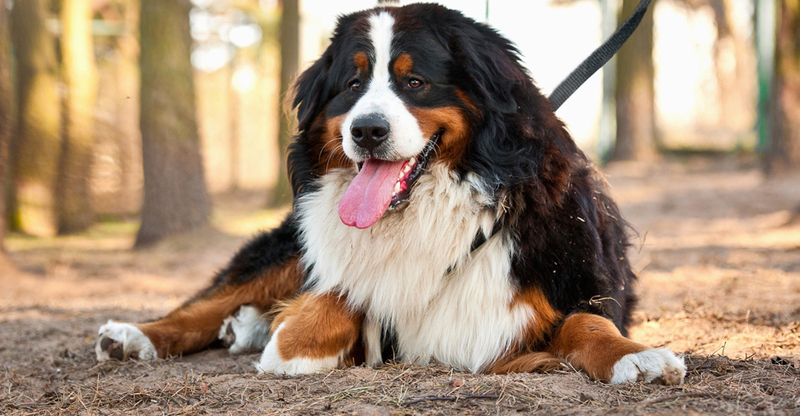 Grooming Needs: The Bernese Mountain Dog should be brushed several times a week, and since his hair sheds dirt easily, he should be bathed every few months or as-needed. 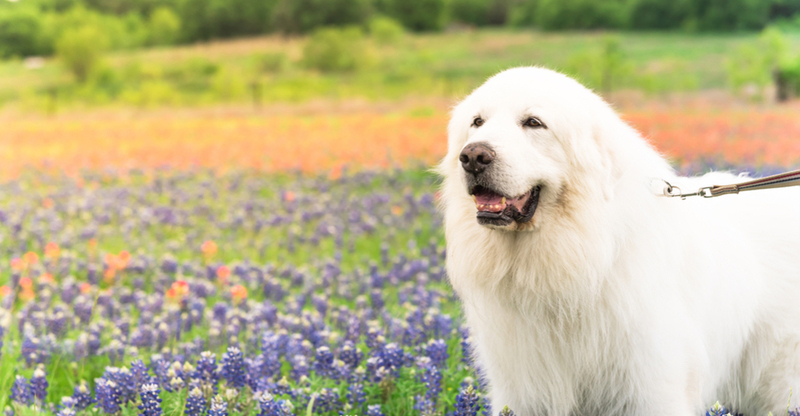 The Great Pyrenees shows devoted loyalty to his family, but may be reserved with strangers at times. Grooming Needs: These big dogs need weekly brushing and a bath about every 3-4 months. 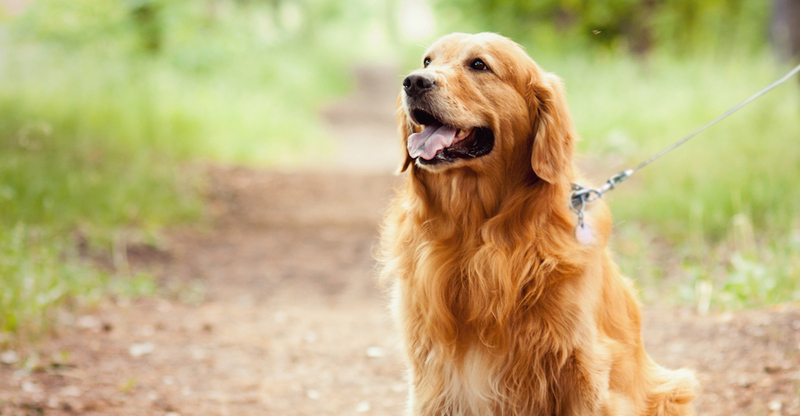 Friendly, obedient and always eager-to-please, these sweet, long-haired dogs consistently top the list of top canine family companions. Grooming Needs: The Golden Retriever should be brushed twice a week, but does have a coat that is less prone to matting. 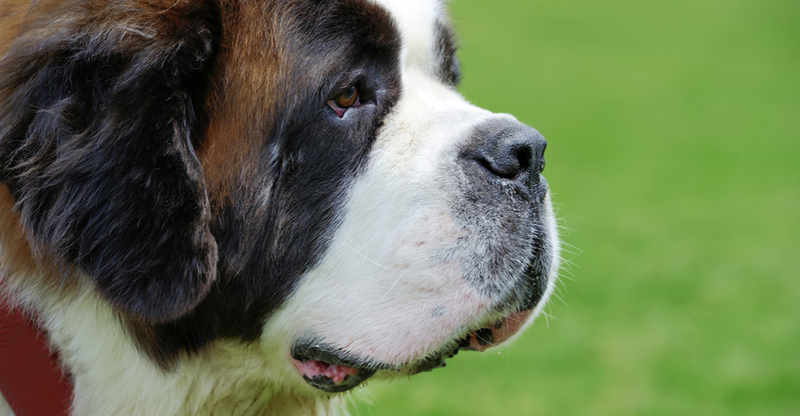 Intelligent, even-tempered and gentle, the Saint Bernard is a devoted companion who excels as a family dog. Grooming Needs: Brush three times a week, and bathe the Saint Bernard every few months, as needed. This breed is also prone to drool. Ready to find your new long-haired best friend? Check out some adoptable dogs near you right here. Note: While the breeds in this collection tend to be long haired, individual pets will vary. Please consult the adoption organization for details on a specific pet. 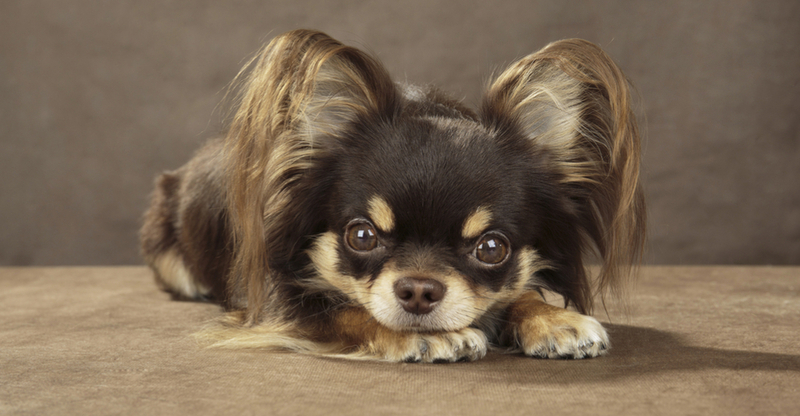 Long-coated Chihuahuas require brushing 1-2 times a week, along with trimming every few months. 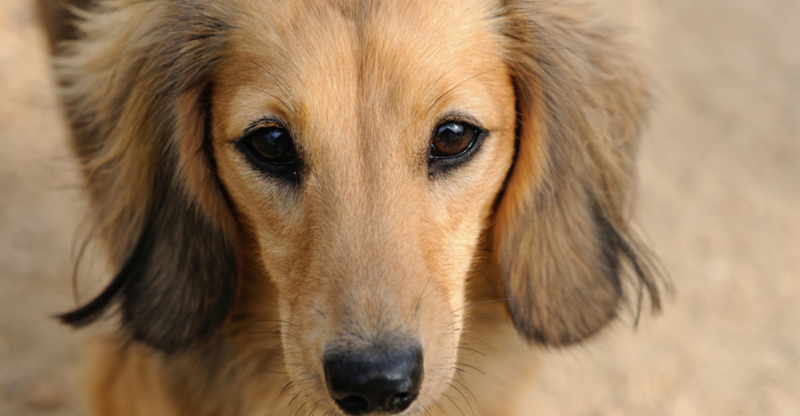 Long-haired Dachshunds should be brushed once a week, and their long, droopy ears should be cleaned with a cotton ball monthly. 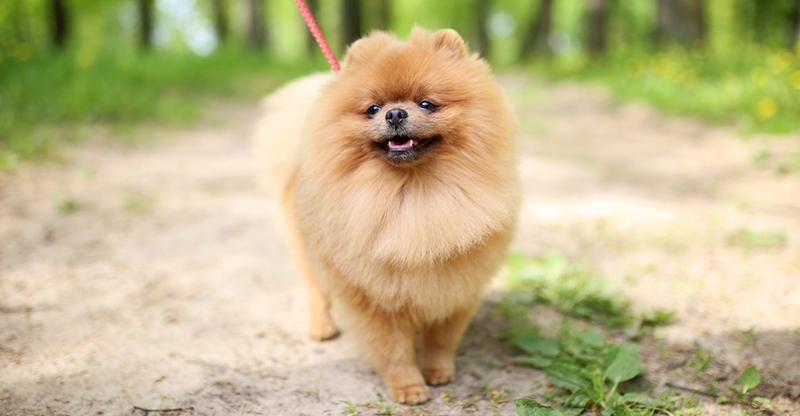 Pomeranians have a thick, double coat that should be brushed around twice a week, and they need trimming about every 2-3 months. 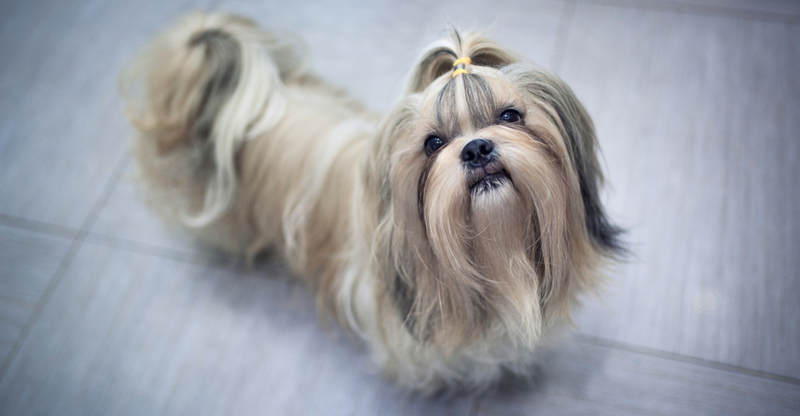 Like other similar dogs with long hair, the Shih Tzu’s long, flowing coat requires daily brushing, and needs trimming about once a month. 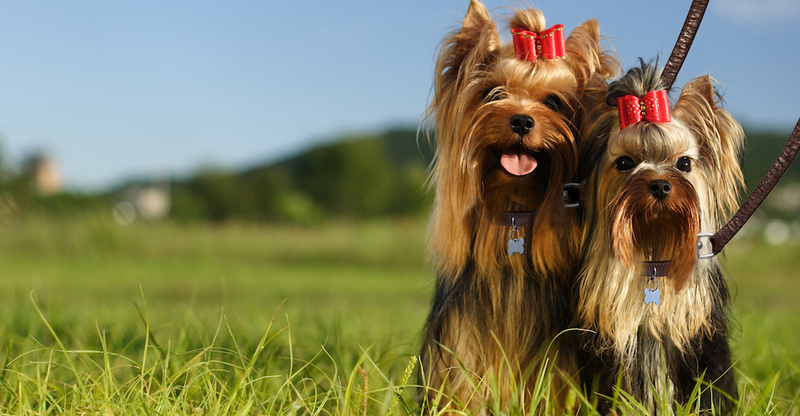 The Yorkie’s coat is notoriously silky, and it requires brushing almost daily, along with a trim every 4-6 weeks. That curly, wavy coat should be brushed every few days, and Cocker Spaniels need a trim and bath about every 6-8 weeks. A Collie should be brushed about 3 times a week, and should have a bath every 1-3 months, depending on his activity level and how much dirt he gets into. 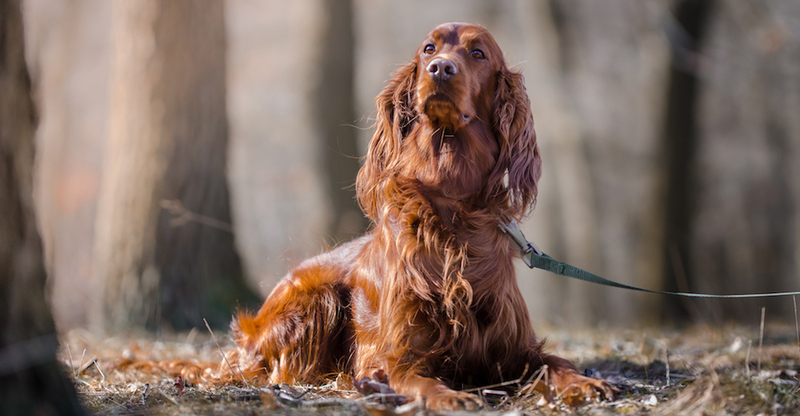 The Irish Setter’s gorgeous red coat should be brushed 3-4 times a week, and bathed/trimmed about every two months. 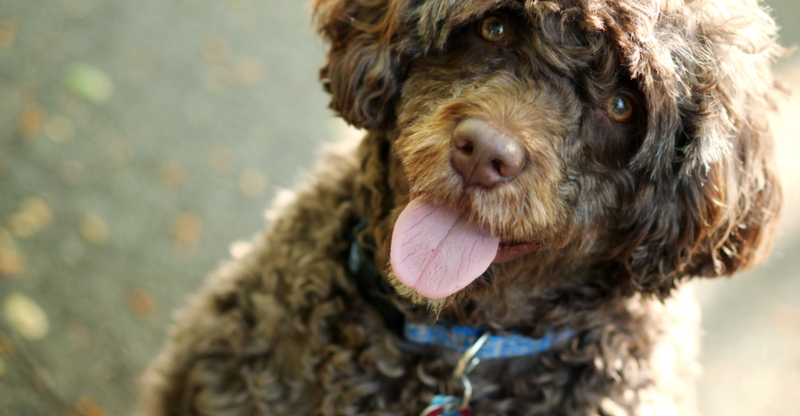 With his curly coat, the Portuguese Water Dog needs brushing and combing weekly, and a trim and bath about every 6-8 weeks. The Schnauzer should be brushed and combed every few days, and trimmed and bathed about every 2 months.